It’s time to make calendars! Today is start of Taylored Expressions November release sneak peek. Yes, lots of new goodies to be released on Thursday. 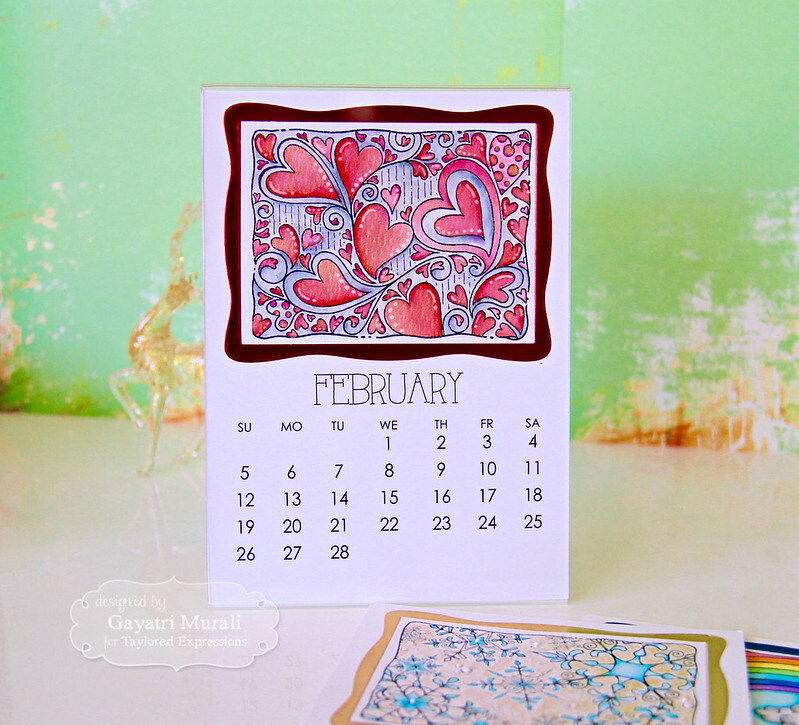 Today I am showcasing new 5×7 2017 calendar and 3×4 watercolour panels from Taylored Expressions. 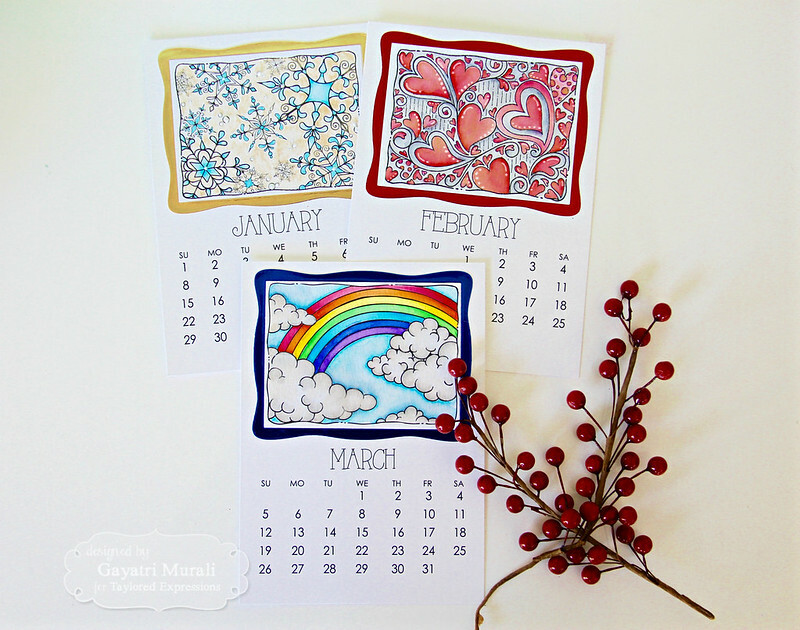 These 3 x 4 calendar watercolour panels make it so easy to colour and add to the calendar pages above. I have showcased the months of January, February and March! I have used Zig clean brush markers to watercolour the panels. For some highlights on the hearts, clouds and background of the snowflakes panel I used Finetec Mica Metallic watercolor paint. Love the shimmer from the mica on the panels. To complement the shimmer and colours, I added foil metallic border using the new Build a Scene 5×7 Calendar die and papers from DCVW foiled paper pad. 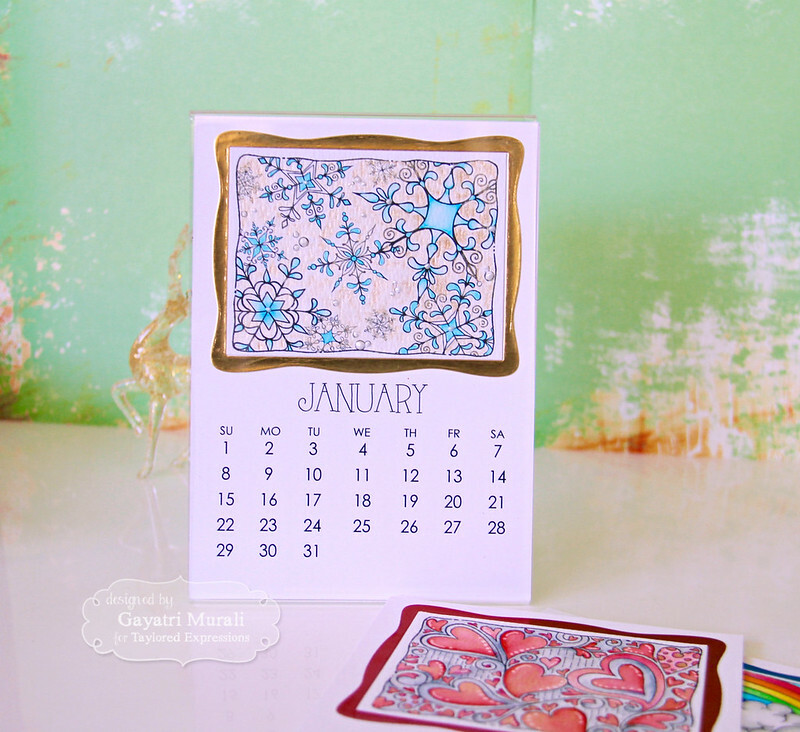 I have used a 5 x 7 acrylic frame to showcase the calendar. Hence I have kept the calendar page completely flat. This frame is available for purchase from Taylored Expressions store. You can similarly colour the rest of the panels to make your calendar. A quick and perfect gift to give for the new year to your colleague or friend or family. While you are there, check out gorgeous inspirations from the rest of the designers using the sneak peek products. Hope you like my projects today. All the supplies I used to make the calendars are listed below. 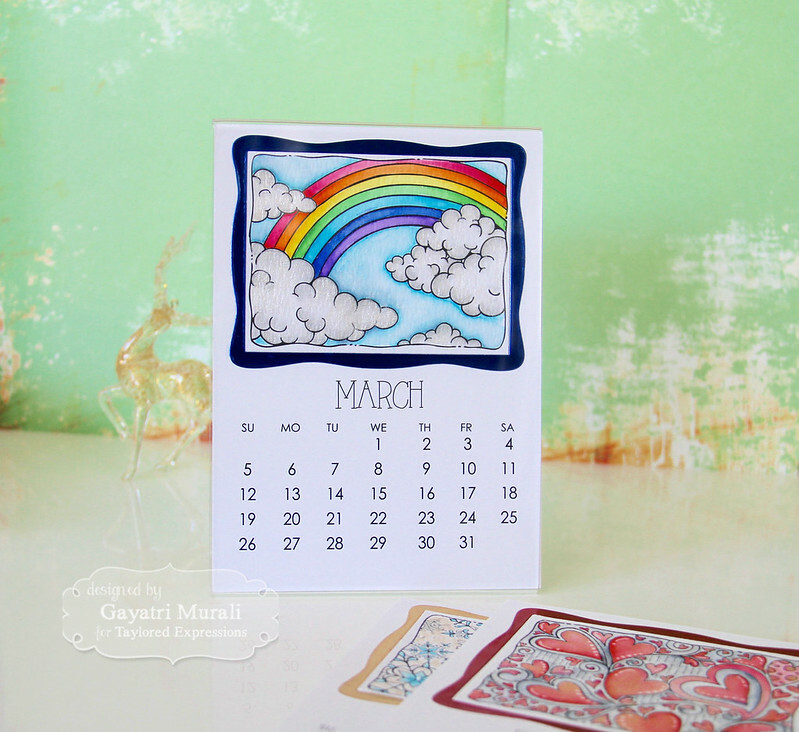 These are gorgeous Gayatri. Your watercoloring is absolutely stunning! I love every single page! Absolutely beautiful! Beautiful, Gayatri! I do enjoy your coloring. Thank you for the inspiration! Fabulous calendar pages. It would be easy to change the panels to fit the seasons down under!